– what a weekend that was. For those of you who were unable to be there – bear with us, some among our number are still on Cloud 9. Colour City and Friends, team made up of paddlers of varying ability, from a former Torpedo, a current State Squad junior to juniors with 3 or 4 training sessions under their belt. They all had a ball, no places but their combined effort and sportsmanship is a credit to the club. Liam, in keeping with the best of athletes was prepared to continue in spite of severe injury. If you want to know how one breaks an arm while paddling, Liam will tell you – its quite easy if the paddler in front of you is out of time. And how about Anna Thompson, her first regatta and in an emergency jumped in as drummer for the last 2 races and did a fantastic job. While our younger, ‘newer’ juniors were joined by paddlers from other clubs, our ‘older’ more established juniors joined with the well established North Coast Torpedoes, taking out first place. Well done girls. The Torpedoes will be going to Hong Kong in July, representing the Grafton Club in the World Club Crew Championships. Many of you have or have had some association with James Sheahan High, one of that team is a member of our Club, plus 2 of their team jumped in the CC junior boat, to help out, so its appropriate to mention them here. Their first CNY and they certainly increased the level of excitement as they gave other teams a run for their money, taking out 2nd place in the junior final, just fraction of a second behind the Torpedoes. However the Principal, while delighted with the team’s effort racing would, he said, have gone home a very proud man regardless of their racing achievements because the Chief boat wrangler, made a point of telling the Principal that James Sheahan students are the most ‘disciplined, polite, friendly’ junior team he has ever come across at a regatta. 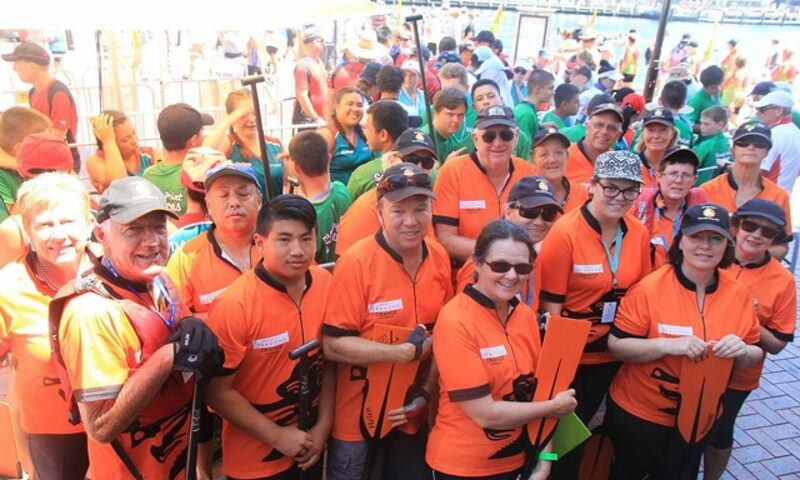 This was an echo of comments made by volunteers at the W/Region regatta last November, if you have any connections with JSH, you can be proud of them. we set the goal to get under 1.10, well the Premiers did it and the Mixed Masters did it, 1.08.87 and 1.09.22 . Huge effort, well done all–problem is most of the other clubs are improving their times too–so we keep working to get times down more. 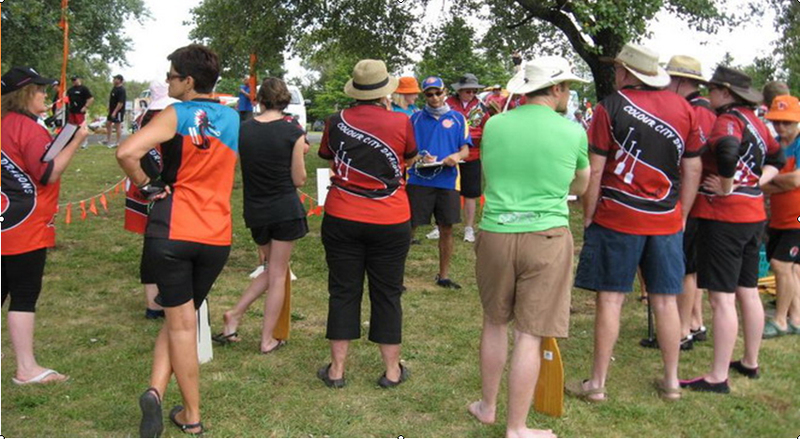 races Sunday: The W/Region DA team, racing under the name DA Orange, were joined by DA Dubbo, Wagga, Ballarat and Adelaide, which was great as some of us raced together in Canada last year. Difference this year to previous years not only did we for first time get to the Major finals – but we actually took out 3rd place. – Twelve members are joining with Southern Region Squad to compete at the Nationals. They will be training together at Jindabyne on the 18th, in spite of all I’ve said about need to step up intensity and frequency of training (with Club); I think a few are going to get a shock on the 18th, however it all augers well for Colour City because what I’m hearing more and more is the racing doesn’t seem so hard. In other words the paddlers are coping with the tougher, more intense training and the results are beginning to show in our race times. Is that a smile or grimace of pain on Ian’s face as he works out on the erg at Squad training, Chifley.